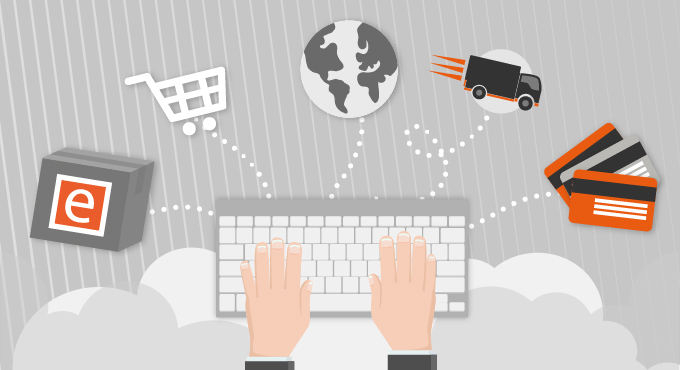 Shipping is the very backbone of the entire operation in ecommerce businesses. In the early ages of the ecommerce, most customers were eager just to receive their packages. 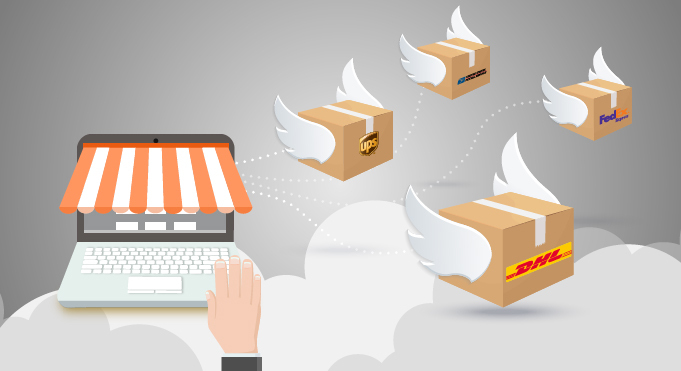 Nowadays with more and more businesses introducing same day delivery, consumers want not only to buy goods, but receive them as soon as possible and in the most convenient and cost-effective way. That’s why the selection of shipping methods and shipping providers is of great importance for success of your store and can make a difference between your services and those of your competitors. So when planning a Magento shop take time to define the shipping methods and providers to offer the best services to your customers. Flat rate is a standard rate charged for transport packages regardless weight or size. It can be applied per item, or per shipment. This option is one of customers favourites, however, as a business owner you should pay attention to averaging out the costs to avoid losing money on shipments. Used with the flat-rate packaging that is available from shipping providers it can be a really good solution for your store. Free shipping is a very effective tool to promote your products. In Magento this shipping method can be based on a minimum purchase, or set up as a shopping cart price rule that applies when a set of conditions is met. However, you should keep in mind that this strategy works good only if your online shop features a limited amount of products and the shipping cost does not exceed 20% of product price, or, as mentioned above for promotional purposes. To enable any of these shipping provider services in the online store you have just to enter certain data that you can get from your service provider and configure a few settings. The configuration options vary for each carrier. Shipping is one of the most important indications of service quality. If the customers do not get their products fast, they consider your service being poor. That’s why the choice of the right shipping service provider should be one of your top priorities. Except the four carriers mentioned above, there is a great variety of carriers to choose from. Below is the list of the most popular shipping service providers from different countries along with some extensions suggestions to integrate those providers’ systems with Magento. Though providers in the table are related to a certain country the most of them are international leaders and offer their services worldwide. For example, UPS and FedEx ship goods in more than 220 countries. The basic Magento version includes a lot of shipping opportunities. However, if it doesn’t completely cover your business needs, there is a great variety of extensions that you can use in order to extend shipping functionality in your Magento store. WebShopAppd MatrixRate is the most popular multiple table rates extension for Magento. It allows user to manage different shipping rates according to destination, shipping method and the weight, price or quantity of an product. ShipWorks is multi-channel, multi-carrier shipping extension. With ShipWorks users can print shipping labels in batches, automatically email tracking numbers to customers, update online order status, run reports and more. ShipWorks is integrated with all major shipping carriers including USPS, UPS, FedEx, DHL Global Mail, i-parcel, OnTrac, FedEx Canada and UPS Canada. It allows user to select the orders to ship and print hundreds of shipping labels with a click. ShipWorks automates time consuming shipping tasks like printing invoices, sending emails, and updating your online marketplace with shipping details. Every ShipWorks account includes an unlimited number of computers, users and shipping accounts. ShipStation is a web-based shipping solution that allows you to create shipping labels for all major carriers. ShipStation downloads orders in real-time, allows user to create USPS, UPS, FedEx, DHL, and Canada Post shipping labels and packing slips in batch, and communicates tracking information to customers. Consolidate orders from multiple channels. ShipStation not only supports your Magento store, but it also integrates with eBay, Amazon, Buy.com, Sears and more. ShipStation is a SaaS solution that is hosted in the cloud. This means that you never have to worry about installing software, upgrading, or backing up your data. Free USPS Provider Account. Custom Carrier Trackers allows user to add custom tracking methods to Magento, disable default tracking methods and make tracking links in emails clickable for customers. Default Magento tracking methods can be disabled and hidden. Shipping Suite provides a solution for advanced shipping zones management, automated process of detecting customer location and flexible shipping rules and restrictions. Shipping restrictions extension allows user to limit use of shipping methods by country, state, any product attributes, customer groups, store views. Shipping restrictions creation based on Magento shipping weight, order total, address line, zip code, region, etc. Delivery date and time extension allows customers to choose delivery date and delivery time and allows admin to manage delivery schedule with weekends and holidays. Shipping is a very important part of every e-commerce business. In order to make the entire process flawless, invest some time in developing the right shipping strategy and selecting the right providers and tools. In case you have further questions regarding shipping options for Magento please feel free to contact us.